It’s something we see and hear all the time, from folks operating down in Miami to up in the panhandle. The issue is, regulations are tough to deal with and understand. Reading through a stormwater permit is challenging unless you know what you’re reading. I always like to say it’s like reading the tax code. To an expert it makes perfect sense, but to a layman, well it can be pretty confusing. That’s why we’re here. Our organization has been helping industrial facilities of all shapes and sizes throughout Florida (and across the U.S.) deal with NPDES stormwater permits. We’ve helped facilities get covered under multi-sector generic stormwater permits, helped them stay in compliance with the regulations, and in worst case scenarios, deal with violations, penalties, and other enforcement actions from the Florida DEP, USEPA, and even 3rd party environmental organizations. What is a “stormwater permit” in Florida? Right out of the gate let’s clear this up. When people talk about “stormwater permits” in Florida, they’re most likely referring to stormwater discharge permits at industrial operations. Let’s get technical for a minute. Stormwater permits are NPDES permits, which stands for National Pollutant Discharge Elimination System permits. These national level permits aim to eliminate the pollutants in your discharges through a permit system. 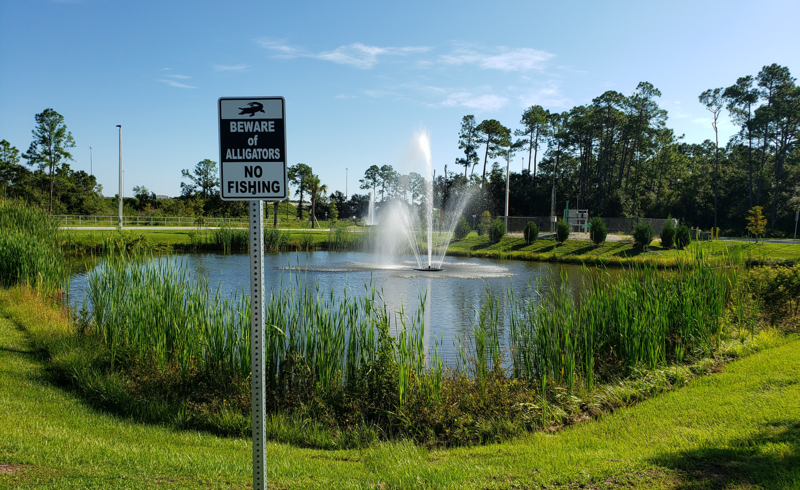 Virtually every state in the US administers NPDES permits through the state level environmental agency, which in this case is the Florida Department of Environmental Protection. Sometimes states like to rename the permits, but in this case Florida still calls them NPDES permits. The primary NPDES stormwater permit for industrial discharges in the State of Florida is known as the Multi-Sector Generic Permit for Stormwater Discharge Associated with Industrial Activity, or MSGP. The Florida MSGP covers industrial facilities of all types throughout the state, including 11 categories of industrial facilities (heavy manufacturing facilities, recycling facilities, light industry, etc. ), further broken down into 30 sectors which include nearly the entire spectrum of industrial facilities (asphalt paving, concrete products, mining, etc.). With a few minor exceptions, it’s important to note that the MSGP for most industrial categories covers only stormwater discharges associated with industrial activity, nothing else. That means, you can’t let any of your process water, waste water, rinse water, etc., leave your site under a “stormwater” permit. Yes, there are minor exceptions for things like hydrant flushing, irrigation watering, AC condensation, etc. These sources of water certainly didn’t come from the sky, but they are allowed to be discharged. Remember, the keyword in stormwater permit is storm. If it came from a storm, and fell from the sky, you are allowed to let it leave your property. The MSGP in Florida does NOT cover construction activities, they fall under the Florida Construction Generic Permit (CGP). Who needs the MSGP in Florida? While not everyone in Florida needs a stormwater permit, nearly every industrial facility does, as well as cities, towns, municipalities, certain commercial operations, construction sites, and more! With regards to the Florida MSGP however, it’s easy to tell if you need a stormwater permit, or if you need the MSGP. 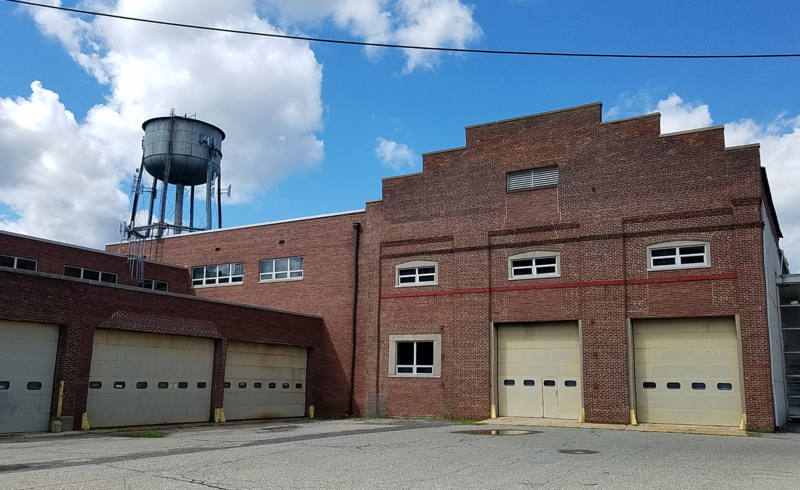 Are you an industrial facility / operation? If the answer is yes, chances are more than likely you need to be covered under the Multi-Sector Generic Stormwater Permit in Florida. Remember I said there’s around 30 sectors that are covered under this permit? I’m sure you can guess, but these sectors are all encompassing. They cover just about every industrial operation out there. Florida’s NPDES Stormwater Program regulates all industrial activities that have stormwater discharges to surface waters of the state or municipal separate storm sewer systems. and are included in any one of the 11 categories of “stormwater discharges associated with industrial activities”. Who enforces the Florida Multi-Sector Generic Permit? We’ve thrown a few acronyms around so far, but one you need to pay attention to is FDEP, or Florida DEP, or Florida Department of Environmental Protection. Why? Because the FDEP is in charge of administering and enforcing stormwater permits in Florida. In fact, the NPDES Stormwater Program falls under the Division of Water Resource Management. As you can imagine, Florida, a state where so much is near water, and so many people depend on water for recreational or commercial activities, Florida takes these permits very seriously. The Florida DEP adopted the MSGP in 1995 (which was an earlier, national level version created by the USEPA), and then created their own permit in 2000. So, since 2000, the Florida DEP runs the show when it comes to stormwater discharge permits. Why do I need a stormwater permit in Florida? If this is where your mind’s at right now, I hate to break it to you, but this stuff is the law. Asking why you need to get covered under the Florida MSGP is like asking why do I have to pay taxes or why do I need to follow speed limits? You just do. If it rains on your industrial operation, and you have even the slightest chance to contribute to stormwater pollution, you more than likely are required by law to have a stormwater permit, and to stay in compliance with it. If you don’t get covered under the Florida MSGP and need one, you could be in a world of trouble. Stormwater non-compliance fees start at over $50,000 per day, per violation. The FDEP can press criminal charges against you for criminal violations relating to your NPDES permit. And a common, increasing threat, is 3rd party groups, from environmental activists to concerned citizens and neighbors, can sue you for non-compliance. In other words, you stay out of trouble by having a permit and staying in compliance. That’s why you need a stormwater permit. From an environmental perspective, it’s because your facility can negatively impact the environment on a water quality level. If polluted stormwater runs off your facility, and into a nearby waterbody, those pollutants from your operation are now impacting the water that everyone in Florida enjoys or depends on (including wildlife). Without trying to get too preachy here, Florida has over 30,000 lakes, over 150 rivers, hundreds of springs discharging millions of gallons of water per day, and is home to some of the most iconic waterbodies and water dwelling animals in the United States. It is everyone’s job to do what they can to limit their impact on the things that make Florida, Florida! Water is everywhere in Florida, and like it or not, stormwater permits help protect that water from becoming polluted. Is the Florida MSGP my only choice? Good question! The answer is no. In fact, there are several different types of NPDES stormwater discharge permits in Florida. So as you can see, there are numerous choices. Depending on your operation, what you do, your property, etc., you may or may not be able to use the MSGP in Florida. Unless you fall into one of the very ultra-specific alternative permits, and you aren’t operating a construction site, chances are you fall into the MSGP. If not, and still no to the other ultra-specific alternative permits, you can obtain an individual permit which will be written and created specifically for your site. What do I need to do to get covered by the MSGP in Florida? Regardless of the reasons, if you find yourself needing to get covered under the Multi-Sector Generic Permit in Florida, you have one of two options: do it yourself, or hire an expert to do it for you. Make sure you CAN get covered under the MSGP in Florida. Develop and maintain a SWPPP. Submit your NOI to the proper parties via your preferred method. And once every five years, renew your coverage at least two days before your permit expires. Can I get the Florida MSGP myself? The last question outlined how to do it, but the question is can you get covered yourself? Absolutely. You do not need any sort of certification to get this permit. However, just because you can do it doesn’t always mean you should. It’s like filing your taxes on your own. Some people can do it in their sleep, while some like to hire the local guy to help them out, while others like to hire huge firms. Depending on your understanding of the regulations and the amount of time you have at your disposal, it may or may not be in your best interest to attempt to get covered under the Florida MSGP yourself. How long does it take to get the MSGP in Florida? Again, it’s going to depend – are you doing this on your own, or hiring an expert? If you’re doing this on your own, the amount of time it takes can be anywhere from days to weeks to months, depending on how much time you put towards learning the regulations, filing the right paperwork, developing your SWPPP, educating yourself on various subjects, taking classes, buying training material, etc. If you have never touched a “stormwater permit” before, expect this to take a long time. If you’re a pro at this stuff, then you should already have a good feeling on how long it’ll take you to get covered under the permit. If you hire an expert, things can move quickly. A competent environmental consultant should be able to get you covered within a few weeks. So, if push comes to shove and you need to get covered ASAP, you might want to talk to an expert. How long is coverage under the Florida Multi-Sector Generic Permit good for? The short answer is once you get covered under the Multi-Sector Generic Permit at your facility in Florida, it’s good for 5 years, after which it expires. Or, it’s good until you submit a Notice of Termination. Unlike stormwater permits in other states, the Florida MSGP stormwater permit has no set issuance or expiration date for the permit itself. In Florida, each stormwater permit term for each individual permittee, is different based on when the individual effective date of coverage began. The permit language / literature is roughly 20 years old at this point, meaning permittees now-a-days must adhere to 20-year-old stormwater regulations. There’s two ways of looking at this. Business-wise, this is great, considering most other regulations across Florida (and the U.S.) have gotten stricter and tougher to deal with each passing year. Environmentally, this isn’t great, since we’re using something that’s 20 years old to keep our growing economy and industrial base in Florida in check. Sooner or later, this stormwater permit is bound to be updated and modified again, but considering its been about 20 years, it probably isn’t happening again anytime soon. Think of it this way, the rules and regulations for getting a driver’s license is something that gets changed occasionally. It doesn’t matter if the rules were updated 2, 10, or 30 years ago, if you want to drive you have to get your drivers license no matter what the regulations are, and no matter when the regulations were last updates. With your license, it’s only good for a certain period of time, a couple years most often, very much like the MSGP stormwater permit in Florida. How old is the Florida MSGP? Florida’s Multi-Sector Generic Permit was last modified in 2000. It’s based off the Multi-Sector Generic Permit the USEPA came up with in 1995. Point being, this isn’t new stuff. NPDES permits have been around for a long time at this point! Does the MSGP in Florida ever expire? No. The stormwater permit you have at your facility can expire, but the regulations for Multi-Sector Generic Permit in Florida overall does not expire. Think of it like a train moving around a circular track. The train started moving 20 years ago (permit issued), you can hop on whenever you need to (permit coverage), and occasionally along the way the train might add or drop cars (permit modifications). The tracks go on forever (since there is no expiration date) and the train doesn’t ever stop to refuel (since there will always be NPDES permits in Florida). How much does it cost to be covered by the Multi-Sector Generic Permit in Florida? Getting covered under the Multi-Sector Generic Permit in Florida is relatively inexpensive. The application fee for initial permit coverage and renewal permit coverage is $500, which is a one-time payment every five (5) years. In addition, there may be additional costs relating to stormwater permit coverage, such as necessary site changes, costs of implementing BMPs, costs of sampling your discharge and getting it tested, or professional costs, all of which can drive up the cost of getting covered under the MSGP in Florida. Just like anything else, the more you have to do, the more it’ll cost to stay in compliance. Could range from a couple hundred dollars a year, to a few thousand dollars up front, to several thousand dollars a year, all depending on what you need. Sampling Costs - The more complex the pollutant the parameter, the higher the costs will be for a lab to test your stormwater samples. Say you’re testing for radioactive materials, that might cost more than testing for something simple like Total Suspended Solids (TSS). For the most part, you are sampling cheaper, simpler things, but labs aren’t free, so you can expect to pay a few hundred bucks every time you get a stormwater sample analyzed. Professional Costs - If you elect to hire a consultant to assist you in any manner, from getting covered under the permit, to conducting an environmental audit of your operation, to anything else, that can be another cost to take into consideration. Just like hiring an accountant, lawyer, or any other professional, the cost of hiring an expert can vary. Cost of Training – The Florida MSGP REQUIRES you get training every year regarding your permit. You can elect for top of the line in-person, on-site, facility specific training which might cost you an arm and a leg, you could go for something more informal, get training online, in a classroom, etc., or try to get away with something simpler for free. It’s all going to depend on what you want to spend, how you want to get trained, and what kind of material is out there for you. We go into this subject in detail in our article, Florida Stormwater Permit (MSGP) Costs Explained. If I’m not near a waterway in Florida, do I still have to be covered by the Multi-Sector Generic Permit? There’s water everywhere in Florida, and chances are you’re within striking distance of some. Even if you’re land locked and located within a densely metropolitan urbanized area, chances are pretty good your stormwater discharges drain into an MS4, which ultimately discharge into waterbodies. Meaning, regardless of your location, it’s almost guaranteed you need to get covered under the Florida Multi-Sector Generic Stormwater Permit, because if you can discharge to a waterbody, you need a permit. If you truly do not discharge stormwater into surface waterbodies or an MS4, then those cases will be dealt with on a case by case basis. What if everything I do at my facility is indoors or under cover, do I still need to be covered by the MSGP? Facilities with industrial activities conducted entirely indoors or under cover may qualify for an exemption, known as the Conditional No Exposure Exclusion (NEX). 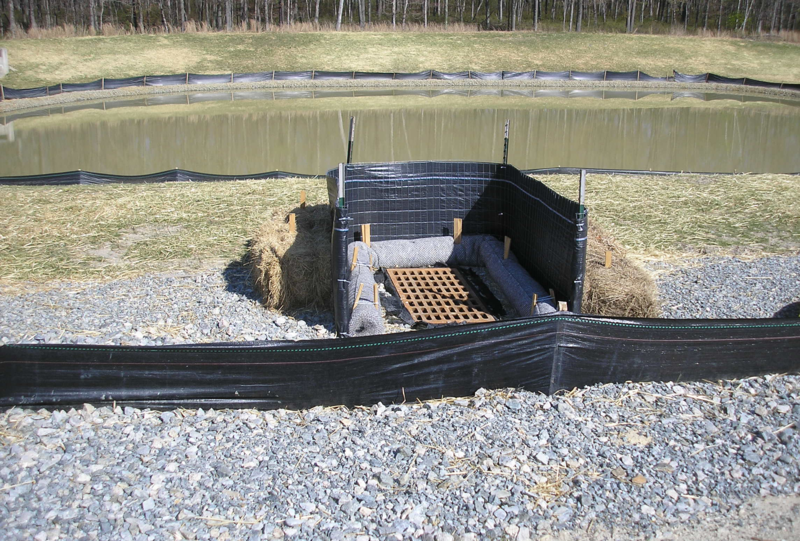 A NEX will eliminate the need for you to conduct certain NPDES stormwater permitting requirements, if and only if all industrial materials and/or processes are protected by a storm-resistant structure. A Conditional No Exposure Exclusion is available and applicable to all categories of stormwater discharges associated with industrial activity. Essentially anyone can try and get this exclusion if they meet the criteria. If you find your facility potentially falling into this category, we strongly suggest trying to go this route. We are well aware that this in the long run takes work away from us, but if we can assist you in adhering to something that makes your life easier, we're all for it. 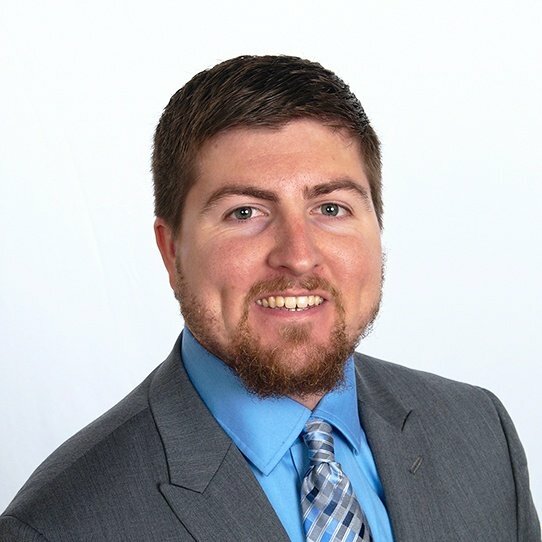 How do I prove No Exposure in Florida? It’s not easy, but it’s not impossible either. You’ll need to submit paperwork that proves you meet certain criteria, in addition to paying a $200 application fee. And, you’ll need to do this every 5 years to prove you’re still exempt from the need for a stormwater permit in Florida. What do I need to do once I’m covered under the Florida Multi-Sector Generic Permit? Long answer short is not that much! If you are getting covered under this stormwater permit, your Florida business doesn’t have to deal with too many requirements under these stormwater regulations. The MSGP in Florida is similar to other stormwater permits across the country. 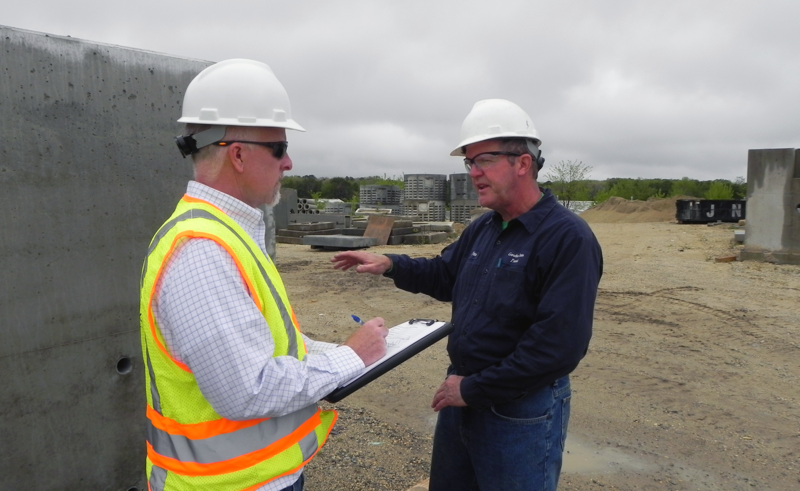 You’ll have to do a certain amount of action items in order to stay in compliance with the permit regulations, most of which are dependent on your sector. Develop & Maintain a SWPPP – A SWPPP was required as part of the application process but one must be maintained and up to date during the permit term. Inspections – We normally we see this as being a quarterly requirement, meaning 4 times a year you’ll need to inspect your facility. There may also be an annual comprehensive facility evaluation you must do, but normally we see this folded into the routine inspections (i.e., 4 quarterly routine inspections, and during one of the quarterly routines, do a more robust inspection as your comprehensive annual inspection). Stormwater Discharge Monitoring – Just like it sounds, you’ll need to monitor your stormwater discharges, which means collecting a sample, sending it to a lab, and reporting that information to the FDEP. Annual Training – You are required to conduct at least one annual comprehensive training session for your employees. Any employee that could impact your stormwater program (which in reality could mean your entire operation but use your discretion) needs training. Training could be on-site, in a class, online, out of a book, by a manager, by a consultant, etc. Best Management Practices - In order to ensure the water leaving your site is as clean as possible, you will have to do things called BMPs, or best management practices. These could either be required BMPs (like keeping your property clean, aka housekeeping) versus site specific activities. You’ll need to keep an eye on these BMPs, update, modify, fix, etc. on an as needed basis to ensure they are functioning properly with the ultimate goal of making the water leaving your site as clean as possible. And possibly more, but those five items will apply to pretty much any industrial operation with a stormwater permit in Florida. Will I have to keep all stormwater on my site if I am covered by the MSGP in Florida? No, remember, the D in NPDES stands for DISCHARGE. You are allowed to discharge stormwater from your facility. You will however have to test the discharge for pollutant parameters (each sector has their own set of parameters to monitor for), all of which is outlined in the MSGP. If the discharge results exceed the benchmark parameters, you have to figure out what caused the exceedance, and try and address the problem so the water gets “cleaner”. So yes, you can discharge water, polluted water in fact, but it just has to be within certain benchmarks and limits, or you could get in trouble. What can be discharged under the MSGP in Florida? Stormwater only! Just stormwater! Nothing besides stormwater! 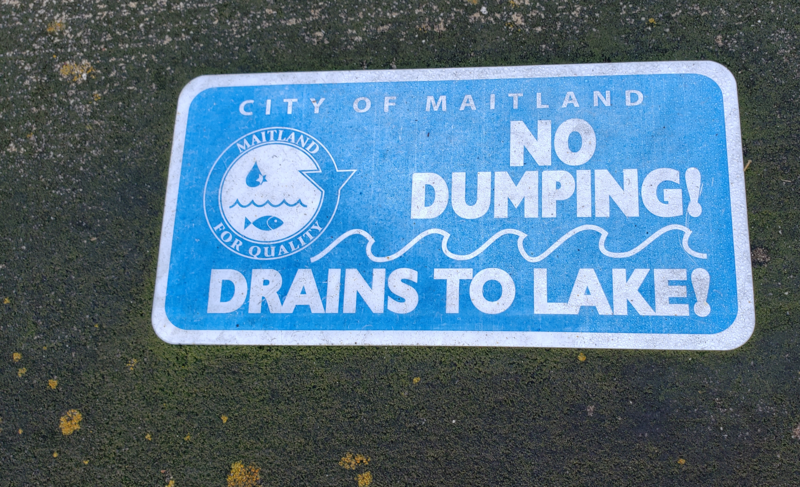 You are ONLY allowed to discharge… stormwater! Water from storms, like rain. There are a few exceptions, such as hydrant flushing, potable water sources, lawn irrigation, etc., but for the most part, you are only allowed to discharge water that comes from the sky. Can I discharge commingled water under the Florida MSGP? No commingled water is allowed to discharge. If you have 1 gallon of process water, wash water, waste water, or whatever you call it, and 1000 gallons of stormwater, and you mix them together, you now have 1001 gallons of process water. If stormwater comes into contact with any other water source, it cannot be discharged. Will I be inspected by the Florida Department of Environmental Protection because I have a stormwater permit? Yes, eventually you will have someone from the FDEP come out to your property because you have a stormwater permit. Chances are pretty good that an initial inspection may happen sooner rather than later after submitting the initial NOI application. After that, inspections may happen once or twice a year, if that. Since you are in the program, you open yourself up to inspections. And why not, you should have nothing to hide. And you should be following the regulations outlined in the MSGP so inspections shouldn’t be anything to worry about. Florida is a very large state with a variety of thriving industries, meaning there’s a lot of ground for the FDEP to cover. Suffice it to say, inspections may not happen all that often, even as minimally as once or twice a year. Inspections will happen more often if you show signs of non-compliance (bad monitoring results, heavy polluter, etc. ), or as a result from violations. Can regulators (federal, state, local) inspect me at any time? Anybody can show up at your site at any time. As for government employees, chances are that they will show up at your site during their normal working hours, or reasonable times, most likely 9 to 5 Monday through Friday. Chances are pretty slim for a state inspector to show up at night or over the weekend or on a holiday, but it could theoretically happen. If they want to catch you off guard for any reason, they might come at more inconvenient times, such as first thing in the morning, or last thing before closing. EPA inspectors will normally also adhere to this same set of principles. Our advice: always be prepared for an inspection. Representatives from a MS4 system (MS4 means municipal separate storm sewer system). If you discharge into one, then someone representing the MS4 has the right to show up and get on your property. And depending on where you’re located and jurisdiction, you might be required to let county, city, or municipal employees onto your property regarding your stormwater permit in Florida. Always, always, always ask to see credentials. Can the general public inspect my site or stormwater permit at any time? No, you have a business to run, and the general public can’t just show up and start sticking their noses around your business. Your business, unless you operate otherwise, is a private facility and not opened to the public. Any outside visitors should be directed to the main office where matters can be dealt with accordingly. This goes for 3rd party environmental groups too. Organizations cannot inspect your operation just because they’d like to. We’ve seen some environmental groups, operating under names that sounds like legitimate governmental agencies, act like they’re there to inspect your operation, and preying on the fact you might not be 100% sure whether or not if they are state (or Federal) regulators or not. Legal? We’re not sure, but once there on your property taking notes and snapping pictures, you could be in trouble. The problem is, with everything going digital these days, the general public doesn’t have to physically go to your site to inspect your operation. Instead, they can sit in front of a computer and research your facility to see what pollutants you are discharging, whether or not they are below benchmark values or effluent limitations, and lots of other useful (or harmful) information. Aerial photos, FOIA requests, and other avenues means the general public can find out whether or not you’re in compliance in a matter of minutes without ever leaving their living room. Can I get in trouble for not having the MSGP in Florida? Absolutely. It’s 2019, the FDEP has had stormwater permits for decades now, there’s no saying you didn’t know about them. And, just like everything else, ignorance of the law is not a valid excuse. Everybody out there has heard of stormwater permits, NPDES permits, or MSGP permits in one way or another. People are getting in trouble for not doing what is required under this permit, mainly discharging heavily polluted stormwater (and sometimes worse). Getting in trouble could mean anything from a slap on the wrist and being told to fix your problems, to monetary fines, to shutting down your operation, to even criminal penalties if you’re doing something really bad. How much do FDEP stormwater permit fines / penalties / permit violations cost? Negligent Violations - Any person who negligently violates permit conditions is subject to a fine of not less than $2,500 nor more than $25,000 per day of violation, or by imprisonment for not more than 1 year, or both. Knowing Violations - Any person who knowingly violates permit conditions is subject to a fine of not less than $5,000 nor more than $50,000 per day of violation, or by imprisonment for not more than 3 years, or both. Knowing Endangerment - Any person who knowingly violates permit conditions and who knows at that time that he is placing another person in imminent danger of death or serious bodily injury is subject to a fine of not more than $250,000, or by imprisonment for not more than 15 years, or both. False Statement - Any person who knowingly makes any false material statement, representation, or certification in any application, record, report, plan, or other document filed or required to be maintained or who knowingly falsifies, tampers with, or renders inaccurate, any monitoring device or method required shall upon conviction, be punished by a fine of not more than $10,000 or by imprisonment for not more than 2 years, or by both. If a conviction is for a violation committed after a first conviction of such person under this paragraph, punishment shall be by a fine of not more than $20,000 per day of violation, or by imprisonment of not more than 4 years, or by both. Civil Penalties - Any person who violates a permit condition is subject to a civil penalty not to exceed $25,000 per day for each violation. Class I Penalty - Not to exceed $10,000 per violation nor shall the maximum amount exceed $25,000. Class II Penalty - Not to exceed $10,000 per day for each day during which the violation continues nor shall the maximum amount exceed $125,000. Bottom line is, the possibility is there for you to receive huge fines for non-compliance, or even jail time in cases where you’re really doing something bad. So, do the right thing, stay in compliance, and you’ll save yourself a ton of money in the long run. Are you looking for help with the MSGP in Florida, or any of the other stormwater permits the FDEP offer? If so, you've come to the right place. RMA has been actively involved in getting facilities covered under, training on, and helping facilities stay in compliance with their stormwater permits since our founding in 1992. We know the ins and outs of the environmental challenges businesses in Florida face all too well when it comes to stormwater permits. We've been on-site at hundreds of industrial facilities across Florida (and the United States), from multi-state company's regional facilities, to small, individually owned mom and pop operations. No matter your business's size or industry, or where you're located here in The Sunshine State, we can help. So if you're having any type of issue at your facility in Florida, with the MSGP, other stormwater permits, or anything else environmentally, we'd love to talk and learn how we can help. To reach out, feel free to shoot us an email at info@rmagreen.com, click here to contact us, or give us a call anytime at 888-RMA-0230 to learn how we can help.